Mia Pinnington’s STEAM classroom is an innovative space. Having secured several government grants, Pinnington has improved not only student learning outcomes, but also teachers’ professional development. Year 6 students in Pinnington’s STEAM specialist lessons participate in her myDesign Solutions program each year, which has led to an increase in student participation in science, technology, engineering, arts and mathematics aligned with the Australian Curriculum. Pinnington also created the iDesign program, which allows participating schools to attend a teacher PD session, access weekly lessons and resources to use with their students in their own schools, and then select high-performing students to participate in a Day of Excellence design challenge in four different digital learning events. 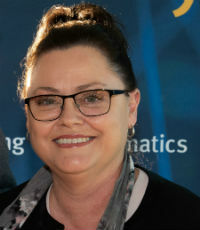 As a member of Coomera Rivers’ school council, Pinnington has developed a common commitment with community stakeholders around student learning and has influenced the whole-school explicit improvement agenda.